When it comes to planning a Wedding one thing that is often left to the last minute is booking your Wedding Disco & DJ. 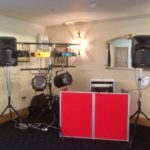 I am a firm believer that the Wedding Disco is the most important part of your Evening as it’s often the only part of your Wedding Day that a proportion of your guests will attend, and if the entertainment is poor that is going to reflect on the whole evening. 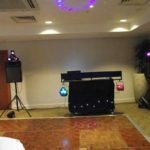 Sure there are companies that will do your Wedding Disco for £150, probably even less than £100 – but you have to ask yourself, what sort of service are you going to get?! In life there is always someone who will “do it cheaper” but is that a good thing? Would you consider spending only £100 on a Wedding Dress because someone said they can “do it cheaper”? Would you hire an electrician who only quoted you £100 to rewire your entire house? I’m assuming, and hoping, the answer to both those questions is a no! So then why do so many couples think that a cheap DJ is going to be a good DJ? 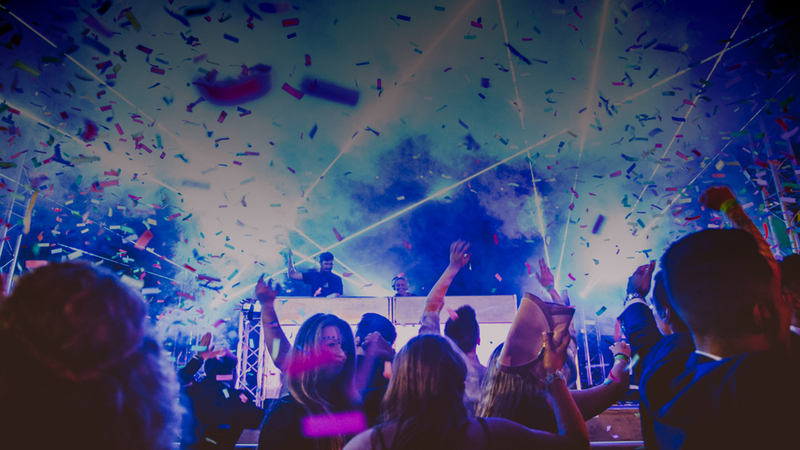 Anyone that runs a professional Disco company is going to have lots of overheads including premises rent, van insurance, Public Liability Insurance and much more. These DJs that are offering to work for £100 aren’t likely to be paying for Public Liability Insurance and their equipment probably isn’t PAT Tested. Both of these are insisted on by 99% of Wedding Venues and you should be checking this when you book your Disco as the last thing you will want to happen on the night end up with no music because the venue won’t allow your DJ to play. 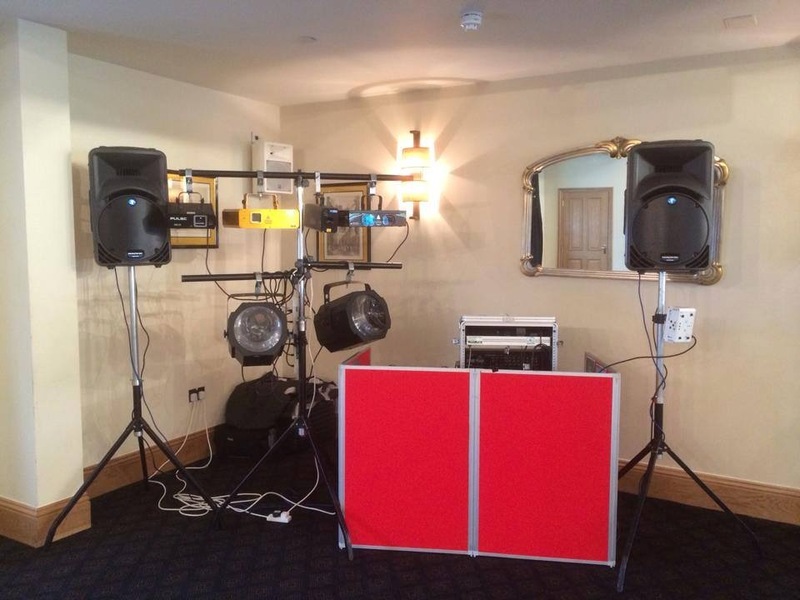 I have also seen a massive difference in equipment, I have seen companies who haven’t updated their equipment since the 1980’s and are still using old fashioned lights, battered speakers and DJ from a pasting table with a cloth thrown over it. 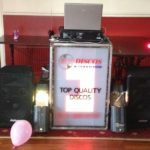 Our most popular Wedding Disco package consists of around £6000 worth of equipment and when you factor in driving time to and from the venue, an hour to setup, an hour to packup plus a performance time of around five hours £300+ doesn’t seem like bad value for the key part of your evenings entertainment. Below are some of the worst DJ Setups we have come across over the last few years. Would you really want something like this at your Wedding? 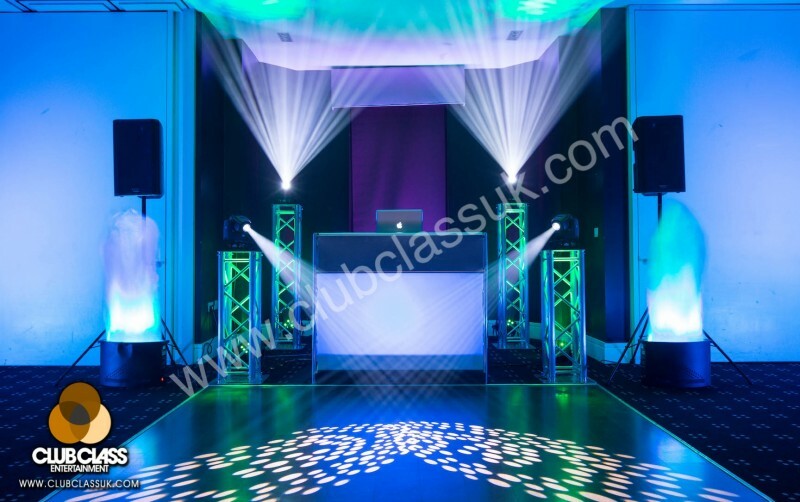 Since they intervention of laptops and mp3s it seems that everyone can claim be a DJ these days just simply by downloading a few tunes but are they really going to know how to play to the crowd, keep the dancefloor full and use a microphone to introduce your first dance and entertain the crowd? Just because I have a digital camera I don’t claim to be a professional Wedding Photographer, and would never dream of offering those services and potentially ruining someone’s day. Here at Club Class Entertainment we only use full time professional DJs who we have met during our long DJ careers. The whole reason we set the company up was from having bad experiences with amateur DJs at friends Weddings. Our DJs are passionate about their job, after all it’s their livelihood and not just something they do for a bit of extra cash on a weekend. Any professional Wedding DJ should happily provide you with references from previous clients and venues, ask in advance for copies of PLI and PAT certificates, try to visit them at a Wedding Fayre or Wedding Open Evening, ask to see a photo of their setup and submit your music requests early. All of these steps can help ensure you don’t book somebody who could potentially let you down on the day. We always find out the couples music tastes in advance, asking their preferences on everything from Pop, House and Hip Hop through to classic Disco, Funk and Soul. We then look at our roster of professional DJs and match the best suited DJ to the booking. A lot of other companies are just a “one man band” and play the same set at every Wedding regardless of the couples tastes. We are very passionate about what we do, the service we offer and our 100% attendance record. 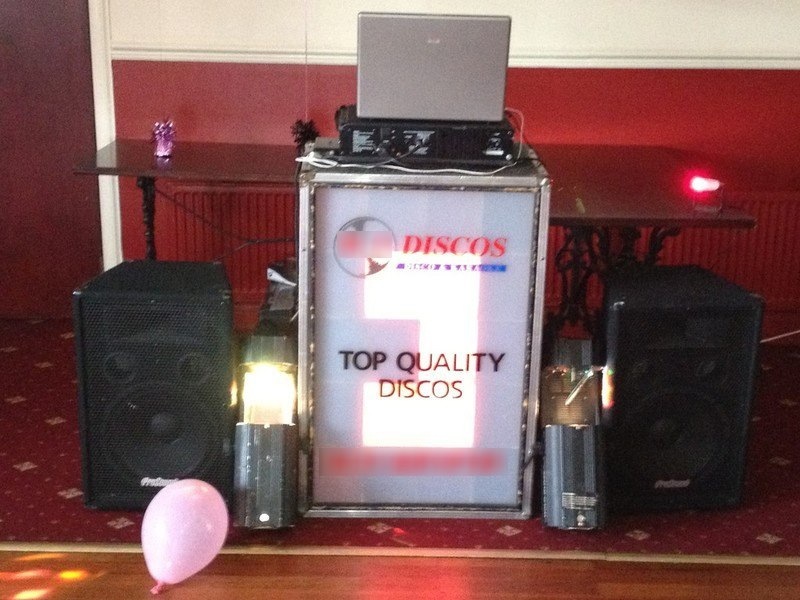 Contact us today to discuss your Wedding Disco requirements. 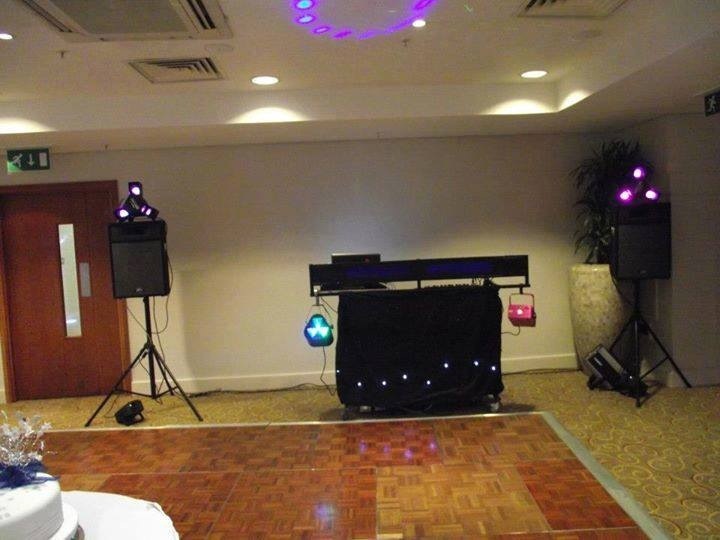 Club Class Entertainment provide Wedding Discos and DJ Hire in Yorkshire. They perform at over 200 Weddings and Corporate Events each year and are the Entertainment company of choice to many of Yorkshire’s finest 4 and 5 star venues. Company Directors Ian Laverick & Paul Bailey-Hague have worked as full time professional DJs for a combined 30 years across the North of England.